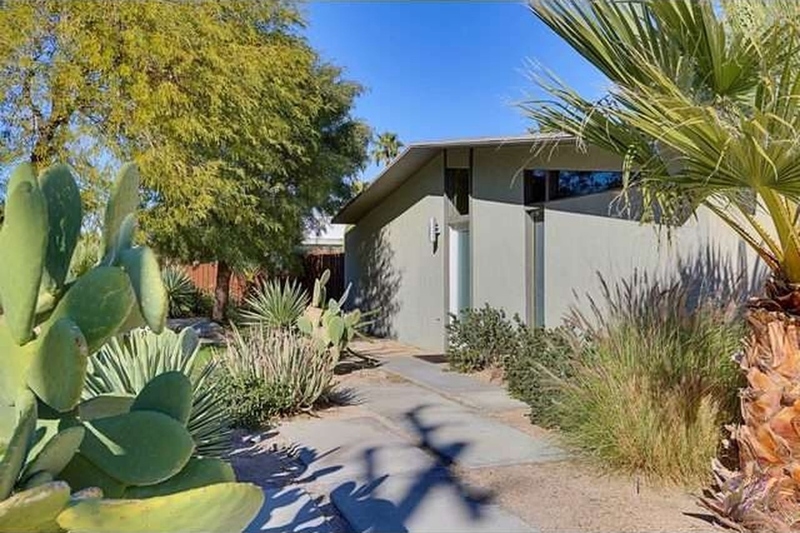 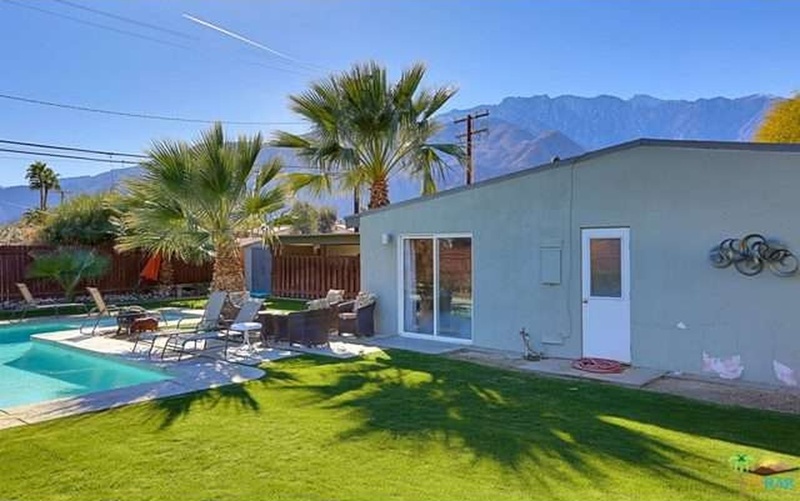 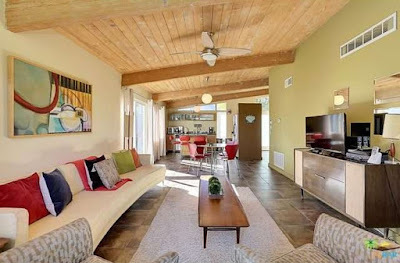 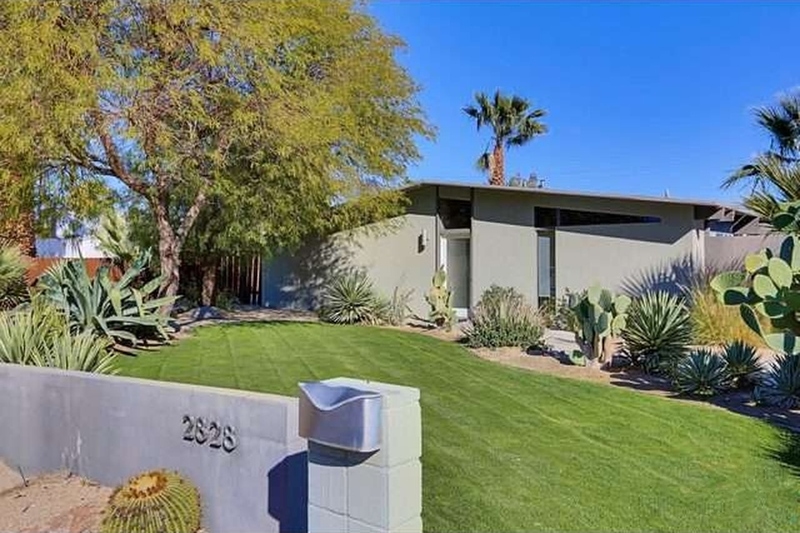 Located on Sunnyview Drive in Palm Springs’ Racquet Club Road Estates is this 1959 Palmer & Krisel-designed home built by the famed Alexander Construction Company. 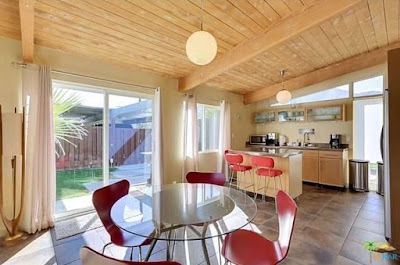 This midcentury home maintains its original 1,225 square-foot three bedroom, two bathroom floorplan, sits on a 10,000 square-foot lot with an in-ground pool and carries an asking price of $499,000. 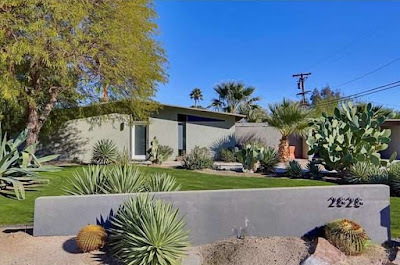 The exterior of the home is crisp and clean, with a lush, well-planted and nicely maintained front yard nicely complimenting the sharp, modernist lines of the home. Desert cacti, turf, palms and shade trees all work harmoniously to create a serene and inviting landscape. 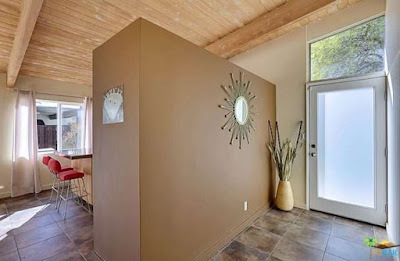 A small pathway leads visitors and guests to the west facing frosted glass front door, which leads into the small entry hall. Inside, the living, kitchen and dining rooms overlook the south-facing side yard, while the bedrooms are located on the north side of the home. 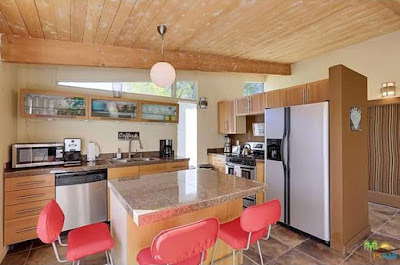 The original open beamed vaulted ceilings are still in place and have been sandblasted back to their original finish. 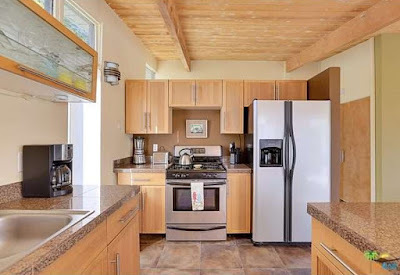 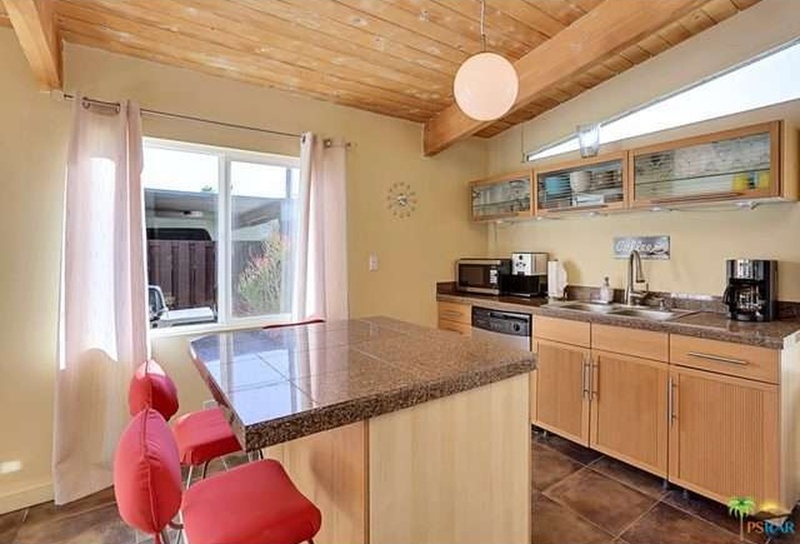 The kitchen appears to have been updated within the last 10 years, with clean-lined natural finished cabinetry, granite counters and stainless steel appliances. The living and dining rooms are open to the kitchen, and appear to have had their south-facing windows shortened in height, allowing for more wall space for furniture but reducing the amount of natural light entering the home. This model was constructed without a fireplace, which allows for a large, flexible great room. All three bedrooms are still in their original configurations, and overlook the north-facing side yard. 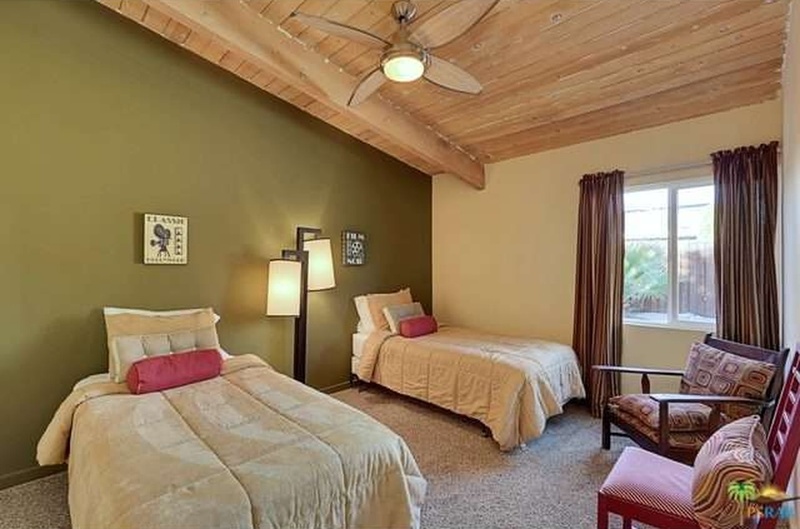 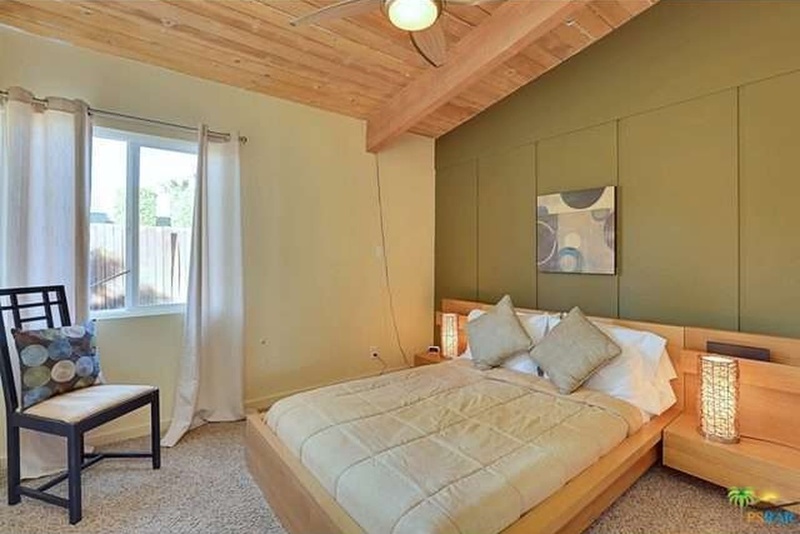 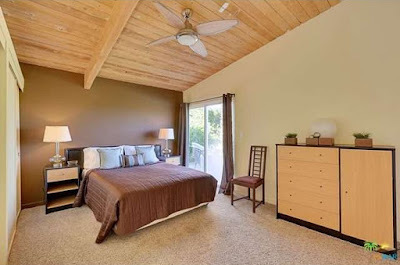 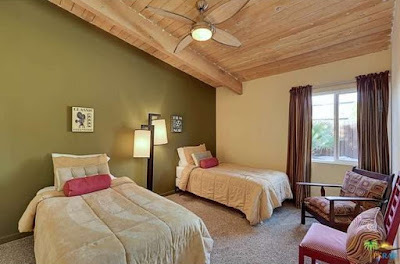 The master bedroom sits at the rear corner of the home, and provides a sliding glass door accessing the backyard. 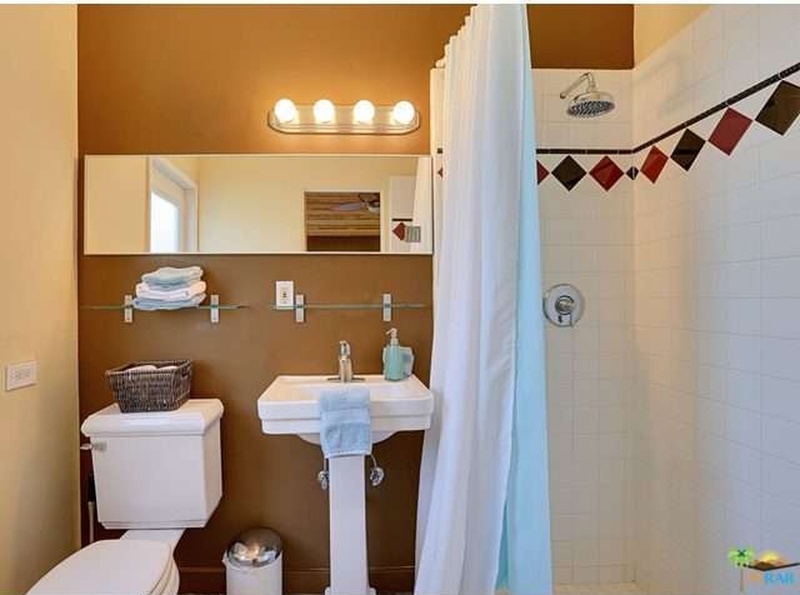 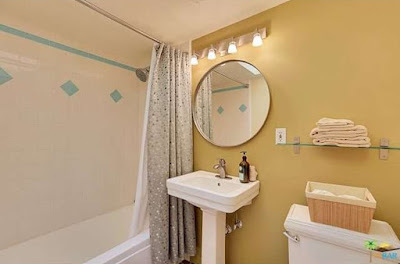 Both bathrooms have been updated, with newer shower surrounds, vanities and fixtures. 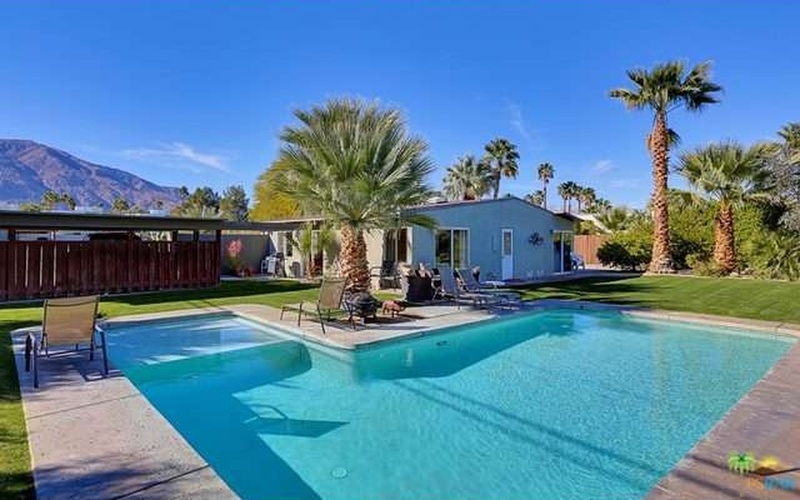 The backyard is anchored by a large inviting pool featuring a nicely-sized shallow lounge area. 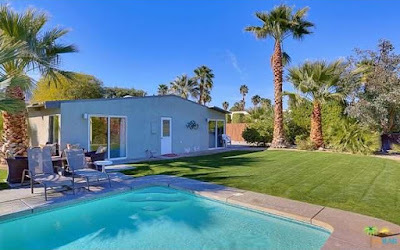 Lots of turf surrounds the pool, along with decking and a small patio space. 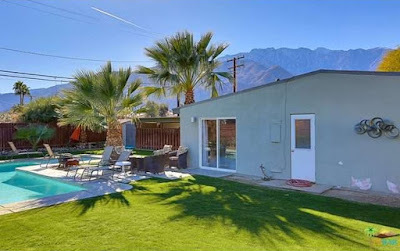 The north side of the home provides a flexible fenced-in vehicle parking/storage area. 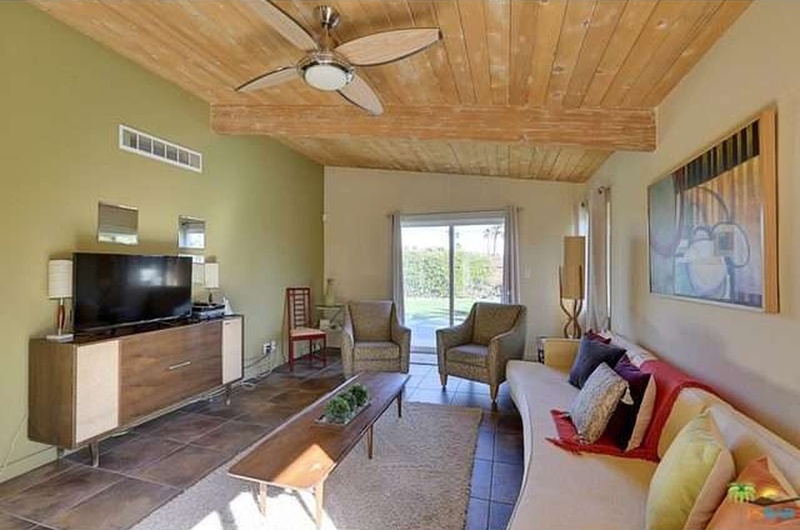 This home is being sold fully furnished and is turn-key for those looking to acquire a ready-to-go vacation rental. A great price and classic architecture make this home an excellent opportunity, and this property most likely will not last long.